Meeting service, transfer to airport for the flight to Long Bawan. Upon Arrival at Long Bawan, directly start trekking to the south for two Full days, you will pass primary tropical rain forest. Lots of wildlife, almost never seen, will show up here, plenty of primates including Gibbons and Leaf monkeys, hornbills and a lot more will show up along the way. Upon arrival at Long Layu where the wild adventure awaits. Check in at the Homestay or Local House, afternoon trek through the surrounded forest and village to catch a first glimp of the area.Salt-making is a traditional activity in the Krayan area. The salt is founded in the salt springs and were exchanged for prestige items. Meals provided and overnight at Local House or Homestay. Trek Through the Forest of North Borneo passing irrigated dry rice fields, the rock complex called Honey Rock, which arises about 40 meters high from the forest. The history speaks through the caves and burial sites, on the route we will have a amazing view over the towering trees in this hilly dense forest. Meals enroute and overnight at Local House or Homestay. Downstream of Tanjung Pasir is a settlement called "Tang Laan" along the Krayan River, Along the way we will pass a rapid and a rock with an impressive human figure carving on it. Meals enroute and overnight at Local House or Homestay. Six Full days dense jungle and prime rain forest trekking expedition to Long Pujungan. 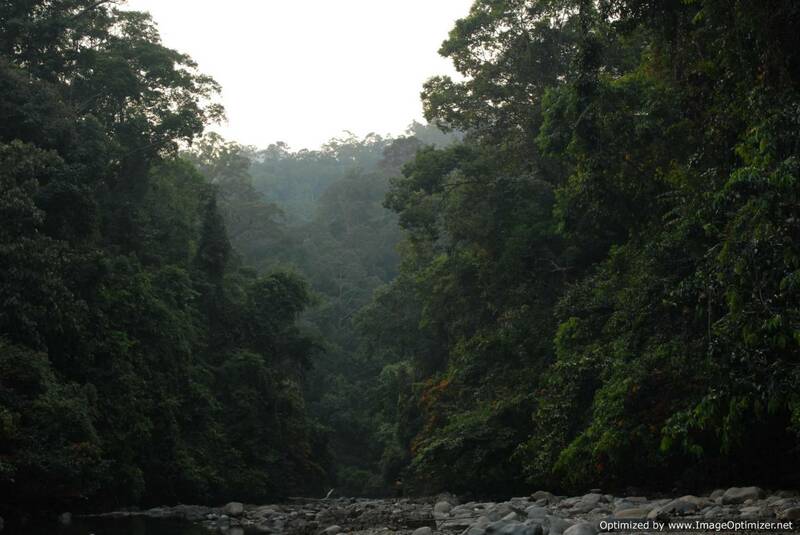 On the way several villages and Dayak settlements will be passed, diverse wildlife in the tropical forest will be seen and hunt. By Motorcanoe turn in to a side river of the Bahau River, passing the Dayak Kenyah village Ketaman, to Long Jelet which will be on eof the last settlements before we enter the Apokayan. After simple breakfast continue the trip by motor canoe till the end of the River, from where we will continue trekking through primary rain forest and crossing the Mountain ranges which will lead us in to the Apokayan. During the trip we will fish, and exploring the jungle. Meals provided enroute and overnight in jungle camp. On arrival at Long Ampung cruise Kayan River by motor canoe to Lidung Payau. On the way stop at Long Uro to observe Dayak longhouse. Meals and overnight at local house. After simple breakfast early in the morning, by motor canoe up river sungai Barang afterwards trekking through the rainforest of the Apokayan to the Boh River. All meals provided, overnight at base camp in the forest. After breakfast, downstream Boh River to Mahakam River passing rapids, meals on the way, overnight at local house. After simple breakfast by Longboat downstream Mahakam River passing rapids. On the way you will see fascinating rocks, mountain and prime forest along of the river. Meals provided enroute and overnight at Local house. In the morning by boat downstream Mahakam River to Tering, Arrival at Tering direct transfer by car to Barong Tongkok. Overnight at Losmen. Early in the morning drive and visit Eheng Long house, afternoon proceed to Melak and take Long Boat downstream to Kota Bangun. Overnight at Losmen. Kertanegara. Where you will see the Sultan's impressive collection of heirlooms, ceramics, Dayak's art and culture items. Afterwards continue drive to Balikpapan. Overnight at hotel. Breakfast, free at leisure until departure time then transfer to Sepinggan airport for your flight next destination. 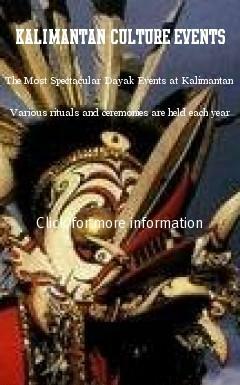 Join Us For a Once-In-A-Life-Time Tour at a Kalimantan Apokayan Borneo Adventure Trip !